Hi, I’m Carole from Hermanus on the Cape Whale Coast. 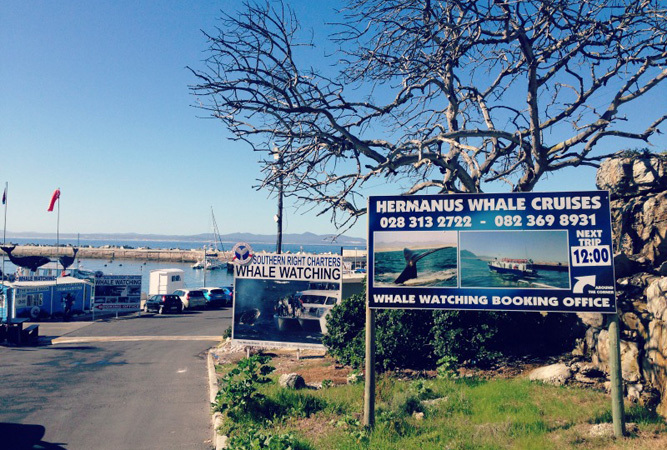 HERMANUS IS BEST KNOWN as offering the best land-based whale watching in the world. GET YOUR PICTURE TAKEN AT Gearing’s Point, with the Whale Crier, whose job it is to blow his kelp horn as soon as he spots any whales in Walker Bay, a brilliant idea of the late Jim Wepener. He is a unique whale crier, one of a kind in the world. THE BEST PICTURES OF Southern Right whales can be taken at Gearings Point, some whales coming very close to the cliffs and the cliff path. WHEN THE WEATHER’S GOOD, I LIKE TO go to Grotto and to Voelklip beaches. WHEN THE WEATHER’S BAD, I LIKE TO visit an art gallery, or enjoy a glass of excellent Hermanus red wine in front of the fire. 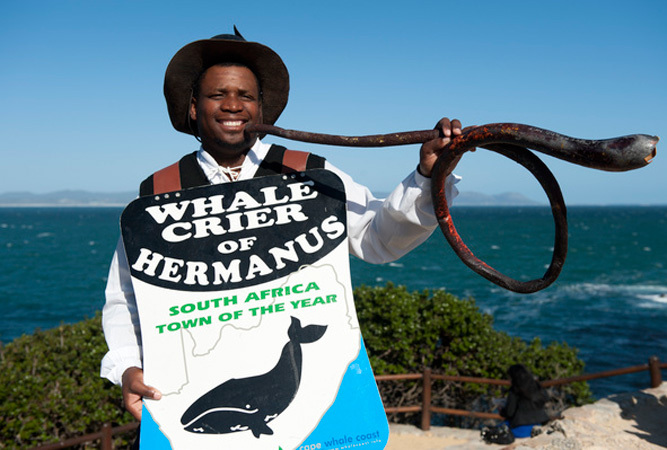 I THINK THE BEST TIME OF YEAR TO VISIT IS in September, when the Whale Festival takes place around the 24th of September public holiday, because the whales seem to sense that the Festival is held in their honour, and that they must put on an extra special display for all the visitors to Hermanus at that time. Whale watching is at its best from May to November, but thereafter Hermanus’ beaches call until the end of summer. 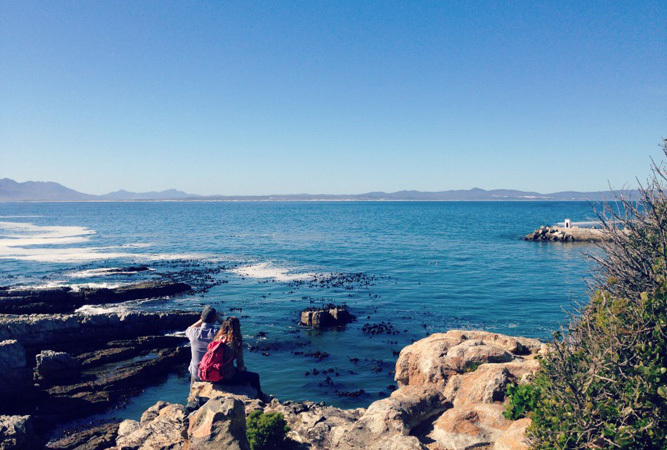 Hermanus also has excellent walking opportunities, as well as fantastic wines. MY FAVOURITE BREAKFAST SPOTS ARE Cubana and Europa, both offering breakfast with a view onto Walker Bay. FOR LUNCH, I SUGGEST Seasons, in the Hemel & Aarde Village, and La Vierge, with a wonderful view over the vineyards of the Hemel & Aarde valley. MY FAVOURITE RESTAURANT IS the brand new Hermanus, where Joubert’s used to be, close to Woolworths and Beach House. BEST LATE NIGHT SNACK can be enjoyed from Cubana, and at the Gecko Bar in the new Harbour. FOR A NIGHT OUT ON THE TOWN TRY The Marine Hotel and Warwicks. 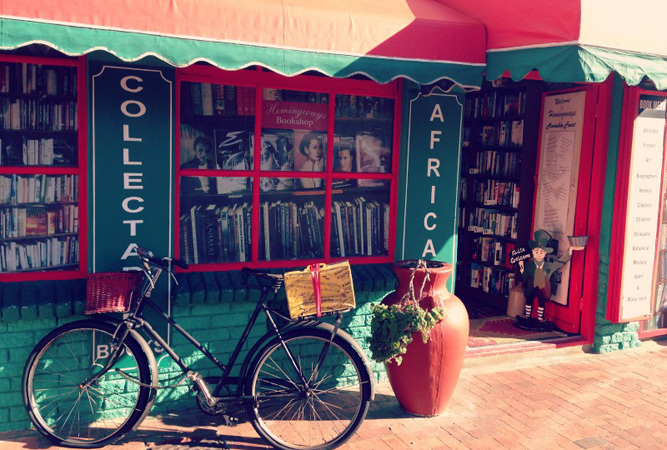 IF YOU WANT TO MEET LOCALS, GO TO Onrus’ What the Dickens pub, and the Cuckoo Tree, Savannah and Europa coffee shops. MY FAVOURITE RELAXING SPOT IS Kwaaiwater, where I go beachcombing, looking for nice shells and other interesting items washed up by the sea. HERMANUS’S BEST KEPT SECRET IS its Wine Route, which includes a number of top wine estates in the Hemel & Aarde valley, including Hamilton-Russell Vineyards (Pinot Noir, Chardonnay, also make Southern Right and Ashbourne) and Bouchard Finlayson. MY FAVOURITE THING TO DO WITH FRIENDS IS to feed the seagulls with “slap chips”. TO RELAX AND RESTORE MY SOUL, I LIKE TO go to the beach. IF YOU’RE FEELING ADVENTUROUS, TRY kayaking close to the whales, skydiving, horse riding, quadbiking, paintballing, or shark cage diving in the nearby Gansbaai. MY FAVOURITE WALK IS in the Fernkloof Nature Reserve. MY FAVOURITE UNIQUE SHOP IS Chilli Pepper, selling a lovely mix of special things. MY FAVOURITE whale-watching SPOT IS Kwaaiwater. 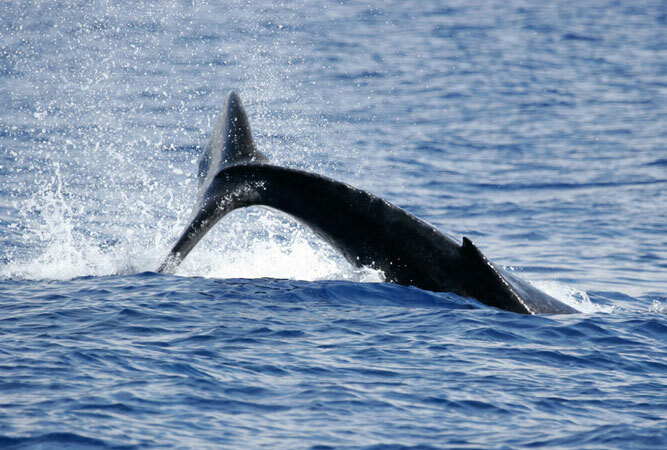 IF YOU ARE HERE IN September, join in the fun at the Whale Festival. MY FAVOURITE ART GALLERY IS the Fisherman’s Gallery, in the heart of the town. Check out the local artists’ work. MY FAVOURITE BUILDING IS the Fisherman’s Cottage Restaurant, for its original Hermanus architecture. Sadly, there are few such beautiful buildings still left in the village. TRAVELLING WITH CHILDREN? A FUN OUTING IS Kleinrivier Cheese factory in Stanford, where the children can touch their favourite pets. BEST CHEAP AND CHEERFUL OUTING IS eating fish and chips on the beach, or having a meal at the Spur, What the Dickens, the Lusitania fish factory and at Ocean Basket. WHEN MONEY’S NO OBJECT, I LIKE TO go for a spa treatment at the Marine. THE MOST UNUSUAL THING I SEE HERE IS baboons on the mountains above Voelklip, and dassies running around on the rocks. MY FAVOURITE WEEKEND GETAWAY IS Grootbos (Private Nature Reserve). WHEN I WANT TO GIVE BACK TO THE COMMUNITY, I buy a penguin house to protect the penguins and their eggs on Dyer Island. I Love Hermanus because of the peace and tranquillity, the beautiful nature, the whales and the nice people that are my friends here.